I seen this much snow at once. But this morning this is what we woke up to. I keep hearing about the effects of Global Warming, but after this week in north Texas, I think I can qualify as a first-hand witness. Everything was covered in white when I woke up...not just a sprinkling of powdered sugar, but more like God spilled the entire bowl of sugar on us when he was adding some to his morning coffee. Because you know in Texas, we like to do things in extremes... the bigger the better. 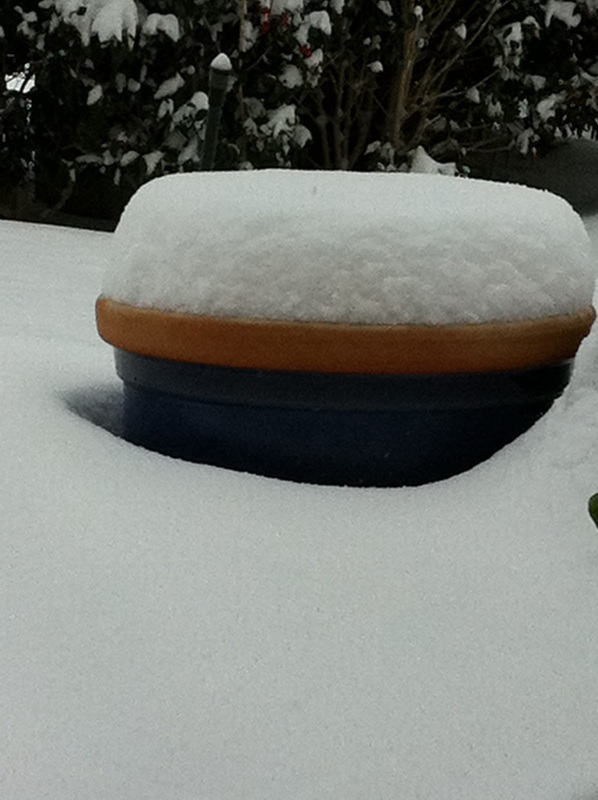 This flower pot is about 18inches tall. Last night we went to bed and it was 100% visible...this morning, here is all we can see. 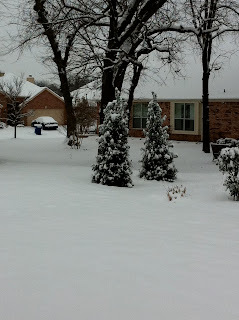 The problem is that in Dallas, Texas folks don't own shovels or snow plows or heck, many don't even own snow boots (except for the ones that are more fashion statements than they are practical!). We don't have an infrastructure to help keep life going on as normal when 6-8 inches of snow covers our world..... We are not Colorado or Denmark. We are Texas. OH no - you're having such bad luck with the weather...It's lovely, but fingers crossed for your flight. Very pretty! But, that's just nuts. I say blame the Packers. They're importing it so they can play in snow! I know the weather is causing you'all alot of anxiety and difficulties. I am so glad you preserved this very unusual event in photos however. Hope your Dad can see them from the hospital. I feel sorry for you as you probably wanted some warmth after the cold in Denmark. But even in CA, I wear the same coat as I did in Denmark, 2 weeks ago. So global warming! 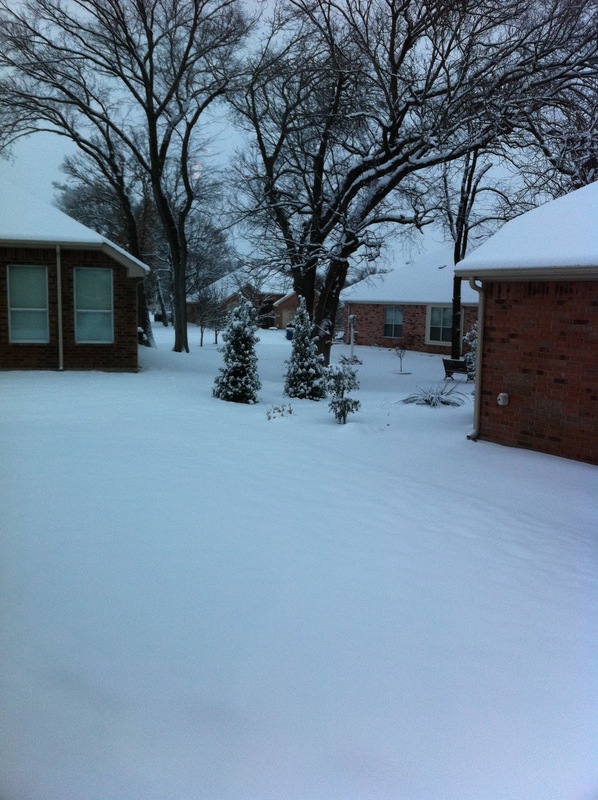 I'm sure you'll get back to Kastrup OK.
Kelli - crazy weather in TX. I cannot believe that you actually had snow that 'stuck.' And 5 inches at that. Wow! Hopefully by today the snow has either melted or has turned into brown slush and you can continue moving. Safe travels...oh, and i'm hoping mail gets picked up today. ugh! My sister wrote about the snow and scoffed at the global warming idea, as if because it was snowing that meant it couldn't really be global WARMING!!! I told her this was exactly why it was snowing...the global warming has messed up everything when it comes to weather. Everyone here in Norway talk about how the weather isn't nearly as cold and there isn't nearly as much snow as there was for several years ago! 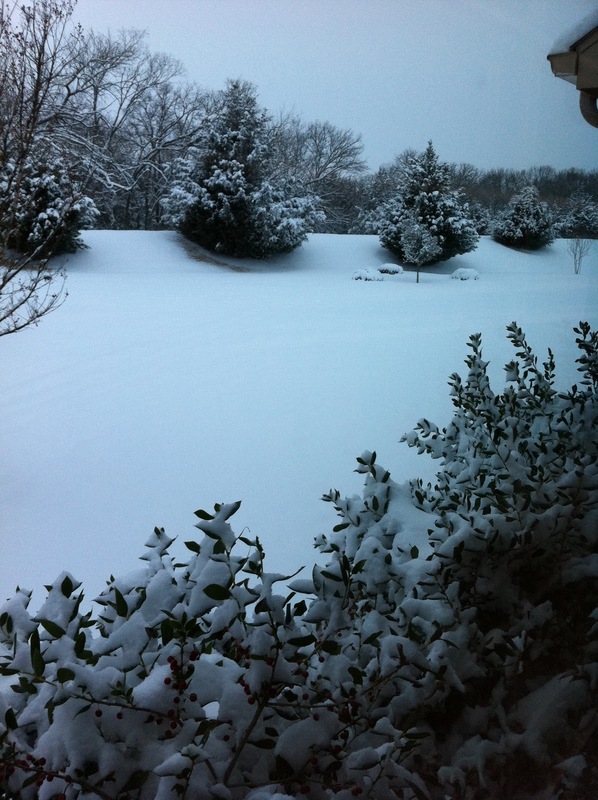 I have to say though, when I told my kids that my sister's kids didn't have to go to school because it was snowing in Texas- they were totally disgusted by that and thought it was totally unfair!! hahaha!!! Glad you're home in Denmark now- probably not nearly as much snow there as it was in Texas?? ?